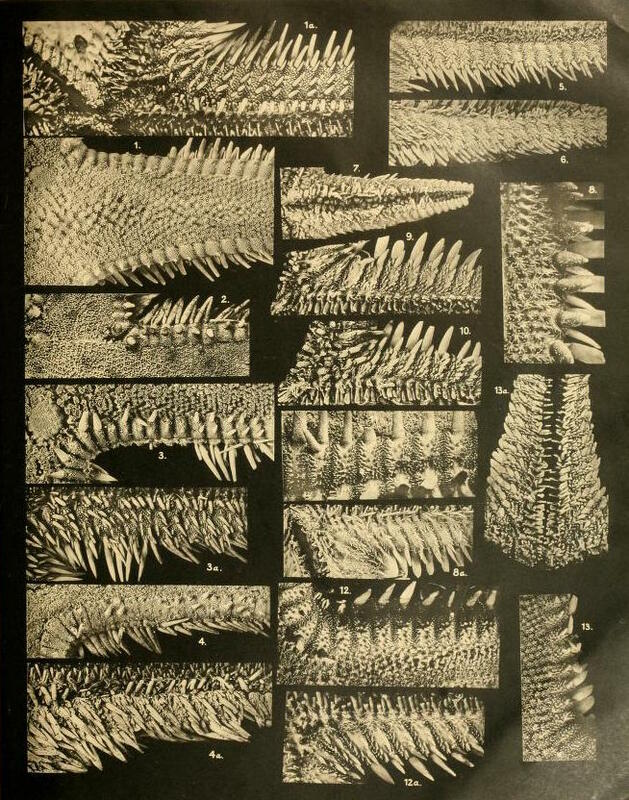 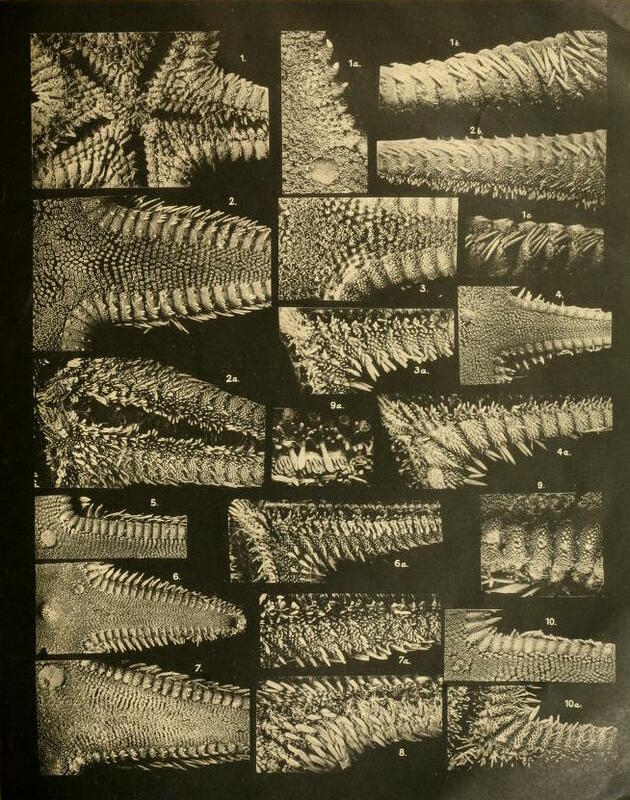 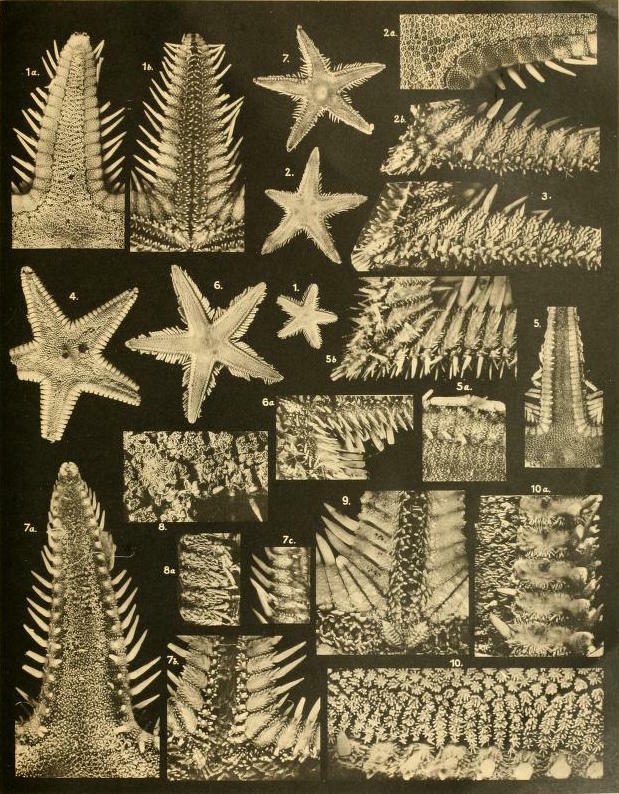 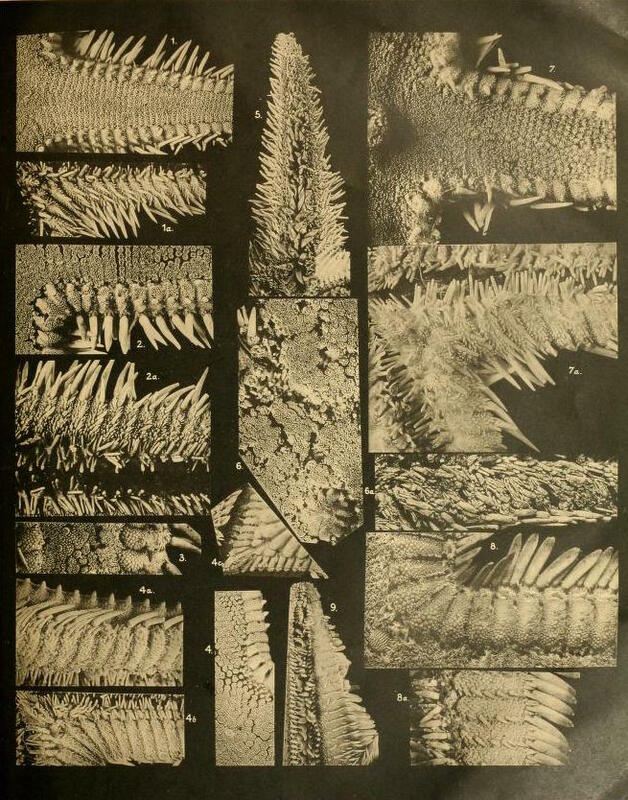 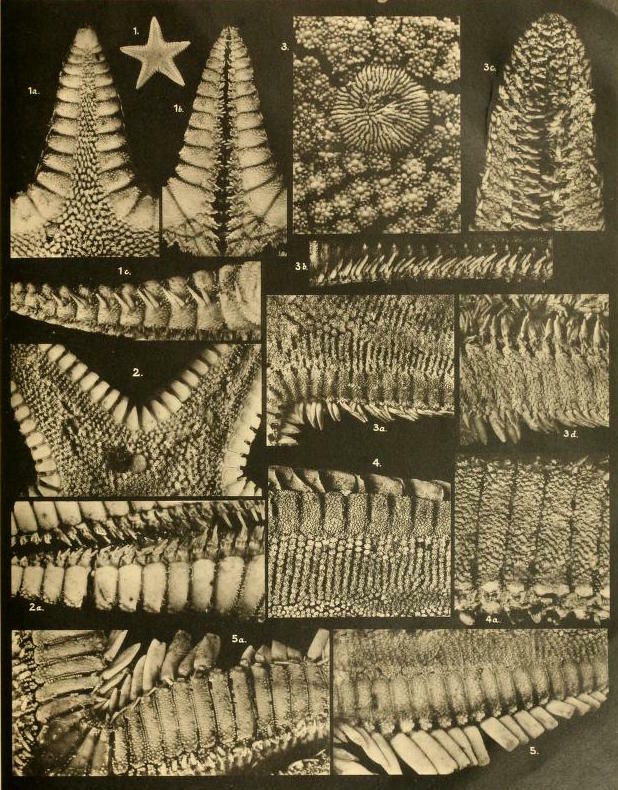 These strangely alluring images are from a report by Ludwig Heinrich Philipp Döderlein (1855–1936), a German zoologist who specialized in sea stars, sea urchins, and crinoids. 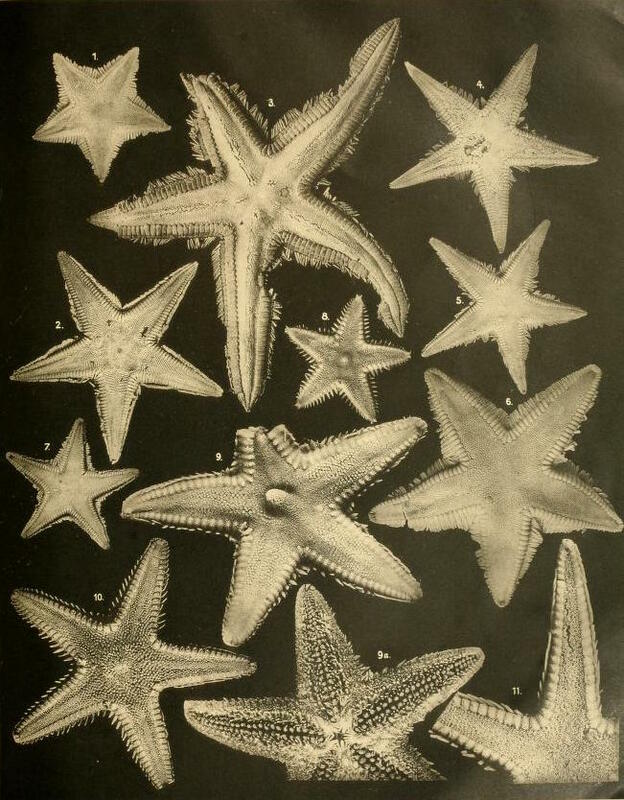 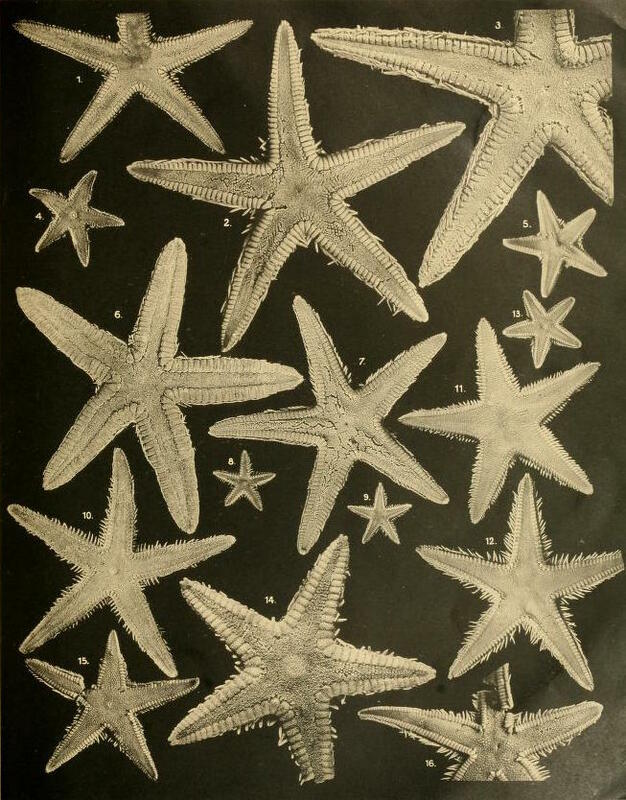 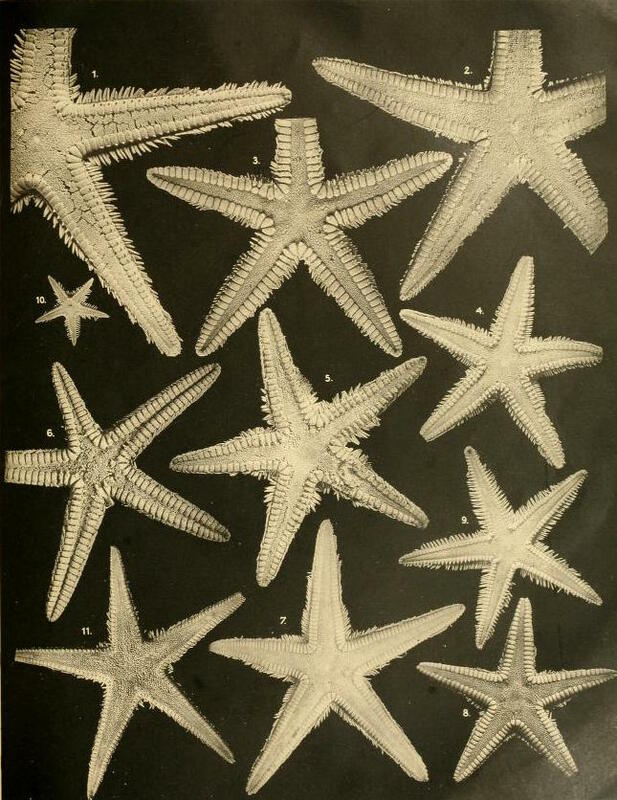 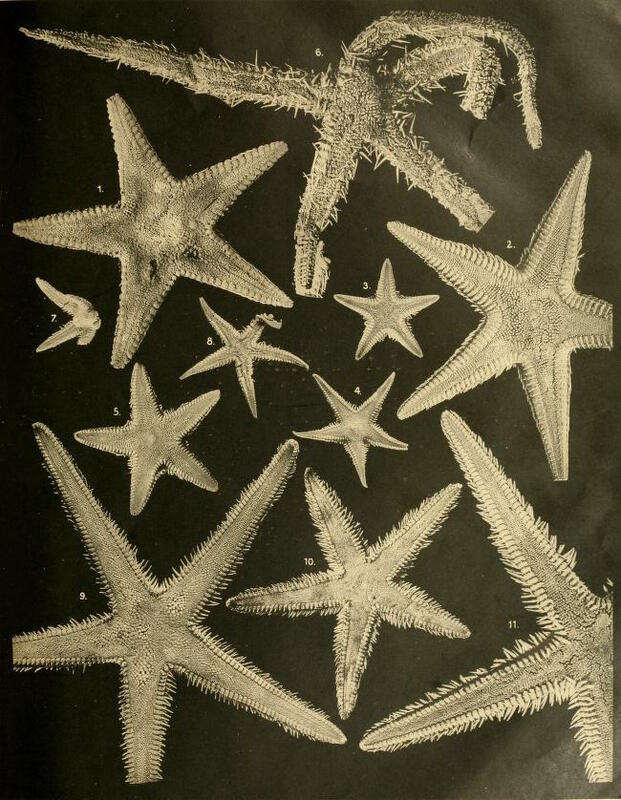 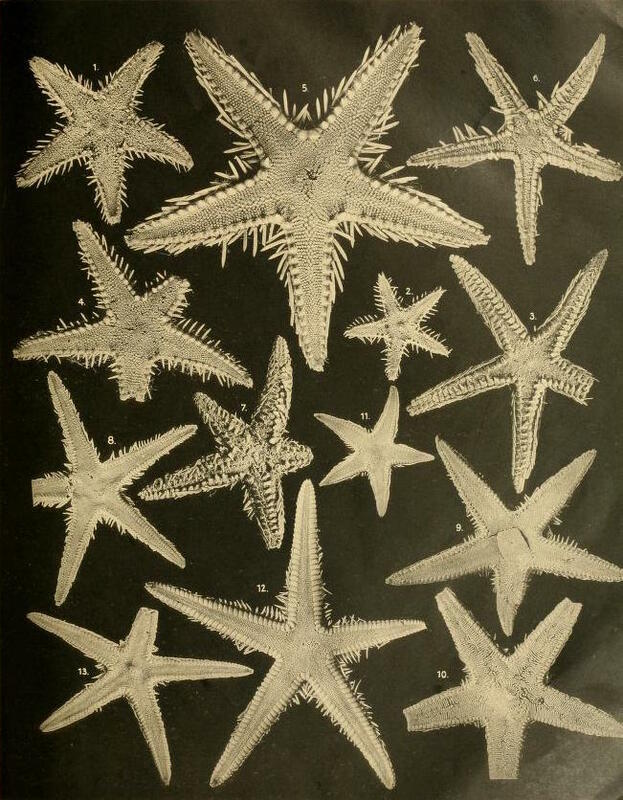 Although Döderlein is best known for his study of marine life in Japan, where he was one of the very first European naturalists to work, from 1879 to 1881, these starfish are actually from the waters around Indonesia, collected during the Siboga Expedition, 1899–1900. 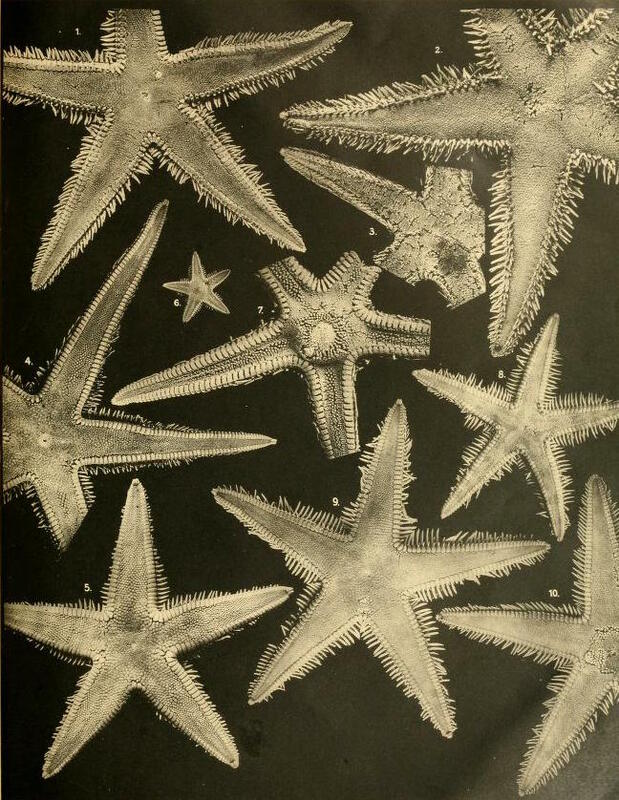 Taken upon a surface of black, the images seem to render the name of “starfish” / “sea star” all the more appropriate — almost as though the stars of a night sky, under a human gaze, have exploded enlarged into biological beings. 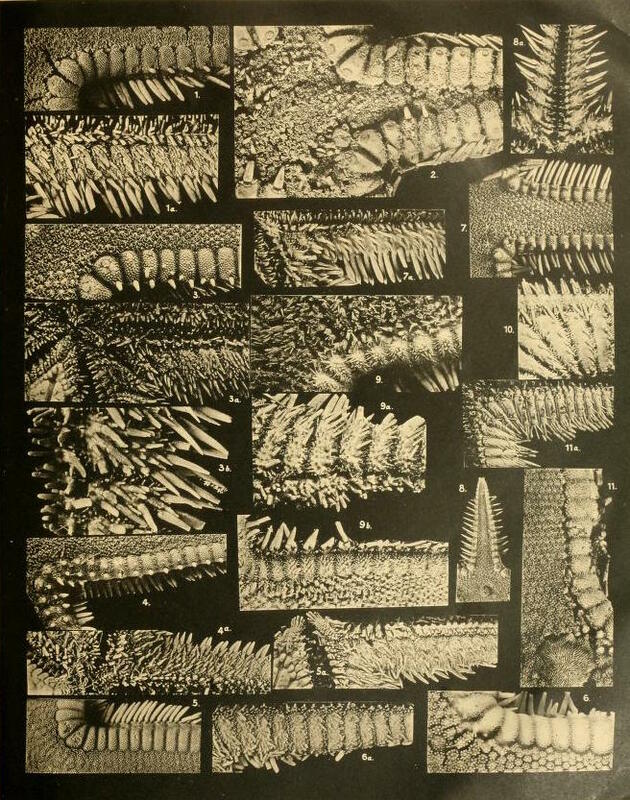 Housed at: Internet Archive | From: Smithsonian via Biodiversity Heritage Library.